It’s been a while since I wrote anything about music, so I thought I’d share a few thoughts about people and songs I heard over the past seven days. First up was last Saturday’s annual fund-raising gala, with special guest Sarah McLachlan. I definitely went through a Sarah phase back in the early 90’s – Solace was in my regular rotation, acting as an emotional amplifier when I wanted to wallow in self-pity. B had also tried to convince me that Ice Cream should be our wedding song, and while part of me liked it because I was pretty sure I could master a simple waltz-step, I ultimately vetoed it because of the somewhat depressing chorus “It’s a long way down to the place where we started from”. Hearing Sarah perform live was a pleasant surprise. She sang extremely well, perfectly in tune, and she has more vocal chops than I thought she did (including a beautiful upper register). She’s got a new set of orchestral charts, and I’m sure she could keep herself busy for the next year if she wanted to doing the orchestra pops circuit. She also looked stunning, with fabulously toned arms, and had an engaging stage presence. All around, a really good performance. (I’d be remiss if I didn’t mention that Pinchas and the orchestra sounded great in the first half. The black-tie crowd ate up the clapping bit during the Radetzky March). The next day, it was time for something completely different. I took the boys to the Blacksheep Inn up in Wakefield to hear a solo set by JP Hoe. JP is a talented singer-songwriter from Winnipeg who was one of our favourite musicians at the last Scene festival. He recently finished a new album and has a couple of important showcases coming up, and I hope it all leads to some new opportunities – he’s a great talent with a bright future. 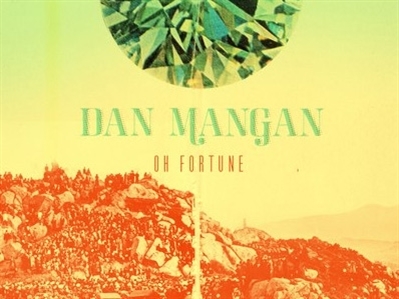 On Tuesday, I picked up Dan Mangan’s new album Oh Fortune. Dan was my favourite singer-songwriter during BC Scene two years ago, and since then his career has really taken off. He was named Artist of the Year at the 2009 Verge Music Awards, was shortlisted for the 2010 Polaris Music Prize for Nice, Nice, Very Nice, and has been touring virtually non-stop. It’s been interesting to watch the lead-up to the album launch by an artist on the rise. There was the CBC Radio 3 broadcast of the whole album performed live, Dan was Jian’s guest on Q, and new performance clips were released on Dan’s website every few days. All the hard work is paying off – the album is getting lots of attention, and he’s headlining at much larger venues (including a gig at the 2,800-seat Orpheum in his home town of Vancouver). I look forward to catching his Ottawa show on October 14th at the Bronson Centre. Tickets are available here. Finally, I just got around to listening to some Elbow (yes, I know I’m a few years late on this one). I’ve grown very fond of Lippy Kids – it’s one of those songs on first listen that takes you by surprise and puts a grin on your face as the melody unfolds. Lead singer Guy Garvey has a wonderful voice that draws frequent comparisons to Peter Gabriel, which is never a bad thing. See, I’m a “glass half full” kind of person. If it’s a long way down, then we’re either up pretty high, or we started in a hole. Either way, we have moved UP. Which is good. Whatever the reasons were, I think we can both agree that Smells Like Teen Spirit was a much better choice in the end.